Alabama Personal Injury & Wrongful Death FAQs | Lattof & Lattof, P.C. Can I sue for funeral expenses after a wrongful death in Alabama? When is a store liable for a slip and fall accident? Get answers to your most pressing personal injury and wrongful death questions by searching our FAQ page. According to the National Highway Traffic Safety Administration (NHTSA), rollover car accidents accounted for only one percent of all crashes in the U.S. in 2017. However, they were also responsible for nearly one-third of all traffic accident deaths. All drivers should understand why these accidents are so dangerous and cause such serious injuries. Tripped. In a tripped rollover, a vehicle comes in contact with an object or road condition (such as soft soil off the road or a guard rail), which causes the car to roll over. Untripped. Untripped rollovers are less common, and they occur when uneven weight distribution causes a vehicle to tip during a turn or other maneuver. This happens more frequently with top-heavy vehicles. Rollover crashes present risks that are different from other types of crashes. It’s more likely that a driver or passenger will be ejected from the vehicle during a rollover as compared to other accidents. In addition, most car safety structures are designed for side and front impact. The roof of the car is typically not as strong and lacks these features. This can leave passengers at risk for serious head and neck injuries when the roof sustains an impact. Speeding. Approximately 40 percent of rollovers involved excessive speed, and nearly three-fourths of the accidents took place in locations where the posted speed limit was 55 mph or higher. Overcorrection. A driver may panic and make a sudden, major adjustment when only a minor steering change is necessary. Coupled with speed and road conditions, this can lead to a rollover. Driver distraction. Whether the driver is impaired or simply distracted, not paying attention is dangerous on the road. Alcohol is a factor in nearly half of all fatal rollover crashes. Worn tires. When tires are worn, improperly inflated, or not correctly suited to the vehicle, it can increase the risk of a rollover crash. If you or someone you love suffered injuries in a rollover crash, you may have the right to recover damages from the at-fault driver or another responsible party. Even if you aren’t sure if you have a claim, an experienced attorney can help you understand your rights and find the best way forward. At Latoff & Latoff, our lawyers are here to help Alabama car accident victims. Call our Mobile office today, or fill out the contact form on this page. You’ll talk with a member of our team who can set up a free, no-obligation consultation to learn more about your case. What happens if I break a bone in a car accident? First and most importantly, seek medical care. Only a doctor can determine the extent of your injuries and set the best course for as complete a recovery as possible. While a broken bone is a fairly common injury, it also can be accompanied by a host of painful complications. Can I Take Legal Action for a Broken Bone? It may be easy to dismiss a broken bone as a minor injury. After all, kids on playgrounds across the country are sporting casts of all varieties. However, these injuries can be much more than a simple broken arm. Accident victims may face an extremely serious and complicated injury, complete with its own set of symptoms and possible complications. Trauma, like that experienced in a car crash, is the leading cause of broken bones. Some common accident-related bone fractures can involve the spine, pelvis, hip, leg, arm, and neck. Accident victims may also need to configure and use modifications to their homes and vehicles. Facing this difficult road to recovery on your own is a daunting task. This can be especially true in Alabama, which follows strict rules concerning fault in car accidents. With an experienced injury lawyer, however, it may be possible to obtain compensation that can help you get the treatment you need and the financial support to remain stable during this difficult time. At Lattoff & Lattof, our attorneys are here to help you protect your rights and achieve as complete a recovery as possible. Call our Mobile office today or take a moment to fill out the contact form on this page to schedule a free, no-obligation consultation. Find out how we may be able to help and what to do next. Is it okay for me to post on Facebook and other social media sites after a car crash? With the advent of social media and smartphones in every pocket, information travels quickly these days. Facebook, YouTube, Twitter, Instagram, Pinterest, Reddit, and many other sites and apps allow people to easily chat, upload pictures, or share text with friends, family, and the entire internet at large. But the truth is that social media is not your friend when it comes to a car accident. Here’s why you should be wary. Legally gain access to your social media accounts. This includes any public accounts you have so that they can look for any information that may hurt your case, however innocent you think your post was. Download evidence against you for use in court. Not only does this include any pictures you took before or after the accident, but it can also include photos of you that other people have taken since the accident. It also can include any of your text posts, stories, timelines, check-ins at businesses or other locations, and even conversations between you and your family, friends, or followers. The defense will be looking for any evidence it can find to devalue your case. Even a seemingly innocent timeline post or photo taken by a friend could be used against you if the defense thinks it can use the photo to minimize the effect of your injuries, or to try and pass some or all of the fault for the accident onto you, however unfairly. The best solution is often to delete your social media accounts while the claim is pending. 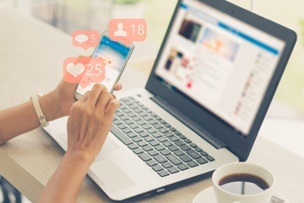 If that’s not possible, have a discussion with your attorney about social media use and what’s appropriate to post—and what you should avoid talking about until the case has been settled or won. If you have legal questions or concerns about your accident and would like to learn more about how an attorney can help your case, contact the attorneys of Latoff & Lattof today. Based in Mobile and serving the entire state of Alabama, we offer free consultations for those who have been severely injured in car accidents and are seeking legal help. Contact us by phone or use our online contact form to get started with your claim today. Alabama, like other states, has a law known as the statute of limitations. 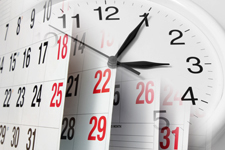 The statute of limitations establishes how long you have to file a lawsuit in the state. According to the Alabama Statute of Limitations, found in Ala. Code. Sec. 6-2-38, a person who is hurt generally has two years from the date of the injury to file a personal injury claim in state court. The time for filing a personal injury case may be extended if the person who was hurt was a minor at the time of the injury. In most cases, a person who was hurt before his 18th birthday will have two years, beginning on his 19th birthday, to file a claim. However, any claim must be brought within 20 years of the incident that caused the injury, and further restrictions apply in some medical malpractice cases. The time for filing a personal injury case may be extended if the person who was hurt was incompetent at the time of the injury. The statute of limitations may be extended if the person who was hurt was mentally incompetent or suffered another disability that prevented the person from filing a claim within the typical statute of limitations. The time for providing notice of a personal injury case may be shortened if the defendant is a governmental entity. If your claim is against a municipality, the state of Alabama, or the federal government, then you may need to file notice of your claim within six months from the date of the injury. These exceptions can be complicated, and it is important to speak with an experienced personal injury lawyer as soon as possible to make sure that your rights are protected. If you miss the statute of limitations for your case, then you are unlikely to recover any damages for your injury. The defendant will file a motion with the court arguing that the case should be dismissed because the statute of limitations has expired—and the judge will agree to that motion. You can avoid this by making sure that you file your case before the statute of limitations expires. You should never worry that you are contacting a personal injury lawyer too early. The sooner that you contact an attorney, the sooner the attorney can begin preserving evidence and protecting your rights, and the sooner you may recover compensation for your injuries. Accordingly, we encourage you not to wait until you are up against the statute of limitations deadline, and instead, we invite you to contact us today via this website or by phone to schedule a free, no-obligation consultation.